Great hair doesn’t happen by chance, it happens by appointment! At Andrew Bayliss Hairdressing you are always assured a heartfelt and warm welcome, new or regular guests alike. Our friendly professional approach will ensure you receive the best possible experience. We are trained to listen and understand all of your hair care needs and requirements. All our Creative Team are fully trained to NVQ accredited levels – they undergo and receive regular high standard testing, plus further in-house training and industry educations. Ensuring that all our guests receive the best possible service and up – to date, creative hairdressing using the best professional products in the most comfortable and friendly surroundings. 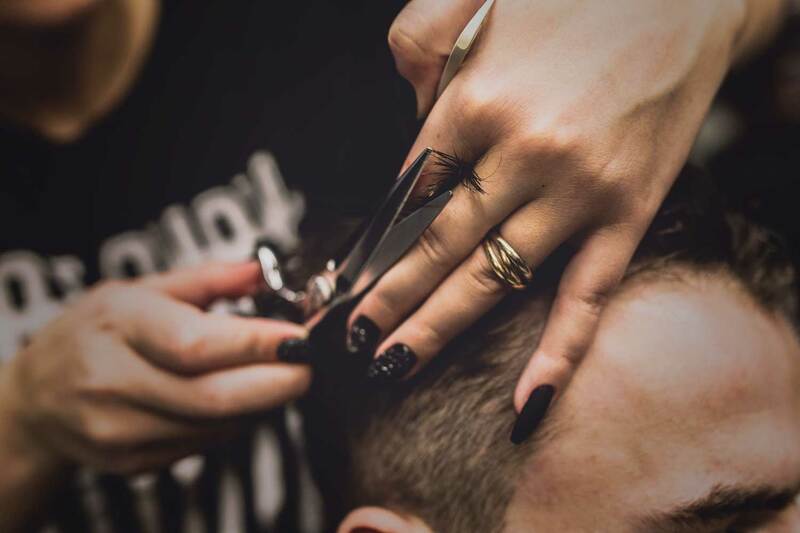 Our hair is as individual as our fingerprints, and at Andrew Bayliss Hairdressing we know it is important that you get the cut that enhances your style. Our styling services are tailored individually to give you beautiful, natural and manageable hair every day. With five levels of hair stylist at hand to create the cut you are looking for, we can provide solutions for the most discerning of clients. 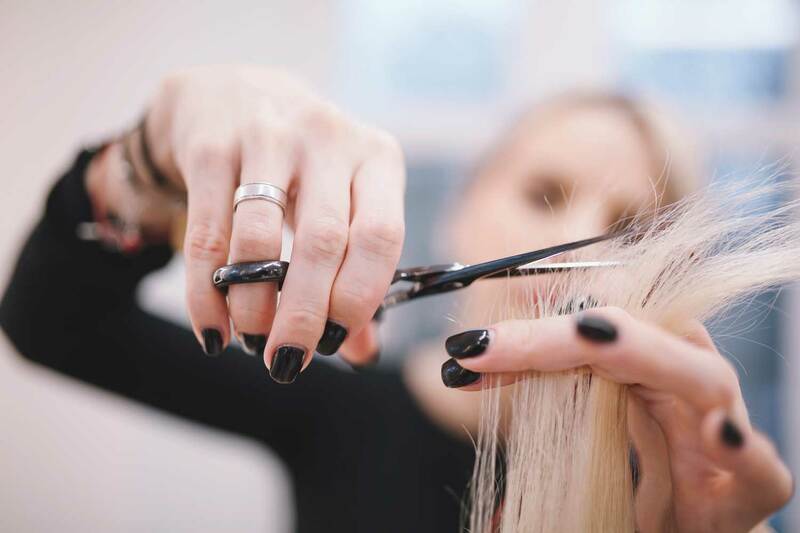 If you are looking to change your hair colour, enhance your natural tones or disguise your grey hair, the skilled colour specialists at Andrew Bayliss Hairdressing will deliver a hair colour that is perfect for you. Using only the best hair colours from the Aveda Full Spectrum™ colours are like an artist’s palette, giving our hair colourists the tools to create rich, vibrant, customised colour to suit your needs. Over the course of the years, the art of barbering has declined. At Andrew Bayliss Hairdressing, we strive to bring back the barbering experience that men deserve. Having your hair cut shouldn’t be a chore, it should be a relaxing and enjoyable experience. At our barbershop, it is possible to have a chilled beer, in a relaxing environment, and a precision cut all in one place. Fantastic experience. Friendly staff who treat you like an old friend. The latest products and trends. Absolutely 100% recommend here for the best hair care in town. Had my hair cut and dyed yesterday, love it! Lovely people definitely using Andrew Bayliss again, highly recommend thanks guys. Just had a very happy afternoon at the salon in Monmouth. Greeted warmly, delicious coffee, attentive and funny team here: serious attention paid to me and my hair, and I swanned out feeling like an A-lister with one of the best colour and cuts I have had since…. well since Hannah cut and coloured me the last time. I recommend these hairdressers very highly, they are busy as bees, inevitable if you are good at what you do, but give such care and attention to us all, Thank you. Best salon I have ever used (and I have been to a lot!). My hairdresser Samantha is fantastic; professional, attentive, friendly and really knows her craft. Unfortunately, I am moving away but will definitely be buying a helicopter and making a helipad on the roof of Andrew’s salon, my first purchase when I win the lottery – just to get back here. Will miss you guys.